The psychic being is often seen or felt within in the form of a child, — it is perhaps that that you are feeling within you; it is calling for a complete sincerity, but sincerity is used here in the sense of opening to nothing but the divine influences and impulses. It does not mean that you have committed any fault, but only that the psychic in you wants you to be completely under its sole government, so that all in you may be for the Divine only. The fire you saw was again the psychic fire of purification and tapasya and the garland was the offering it was preparing for the Mother, the psychic and divine consciousness (pearl and diamond) in the sadhak. The beautiful place was also probably a symbol of the psychic and the lotus indicated the opening of the psychic consciousness. As to the triple condition, it indicates the proper direction of the realisation of the sadhana in three parts of the being. 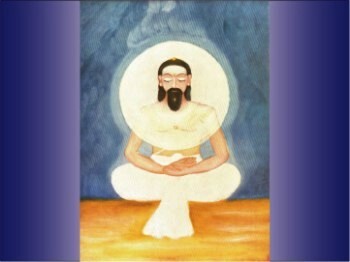 The mind has to emerge in the one infinite consciousness of the silent self which will then envelop the whole being; the heart has by adoration and love and surrender to live in the dynamic Divine and be its dwelling-place; the vital and physical ( below the navel) have to be the instruments of the Divine Will, instruments pure, surrendered, expressing nothing but that Will.